At the beginning of last July, 2013 that is, I mentioned that I was going to experiment with trying to grow an Alpine Wall. 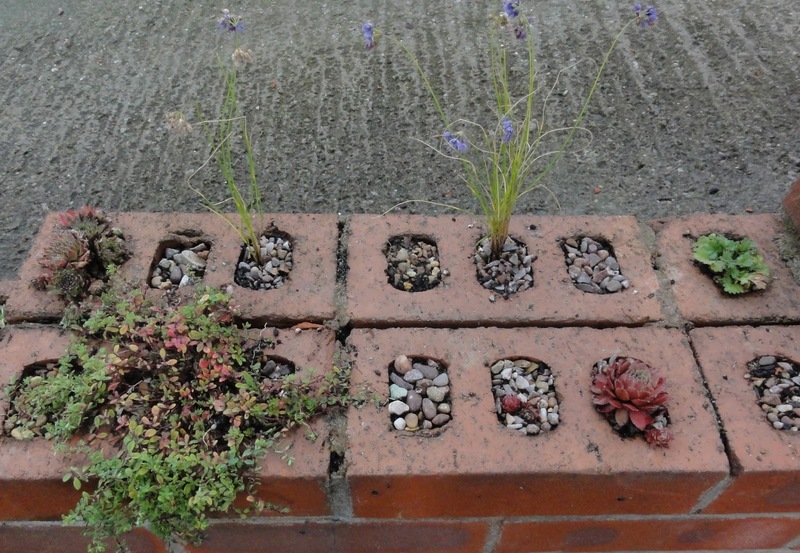 After recently purchasing some more alpines for my wall and having planted them out, I realised that I haven't given an update on how the wall was going. I thought it was worth doing so, not the least because it's been a bit of a success! For years I have loved alpines, but hadn't got around to doing anything about it. 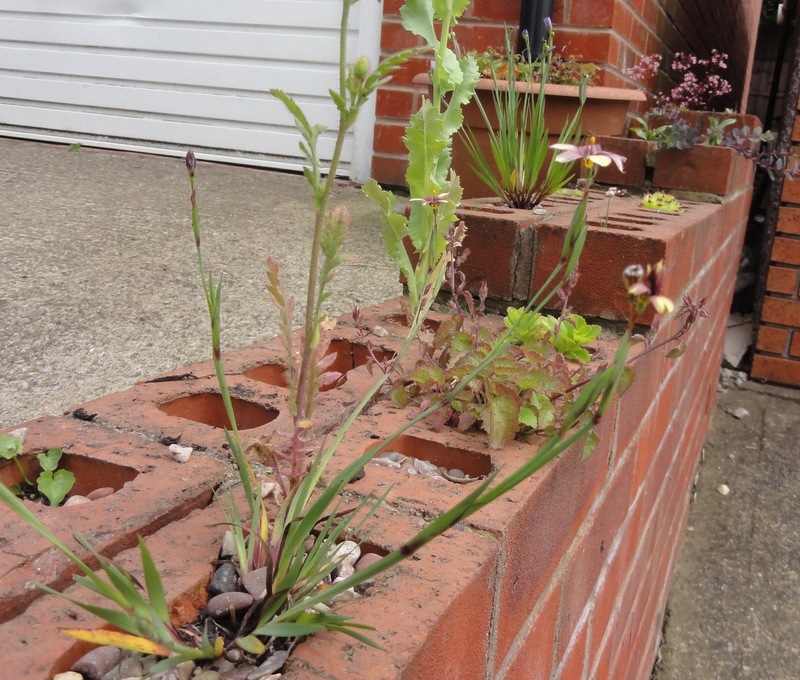 So as I mentioned, last year I thought I'd make the most of a bad wall and plant some alpines and see what happens. 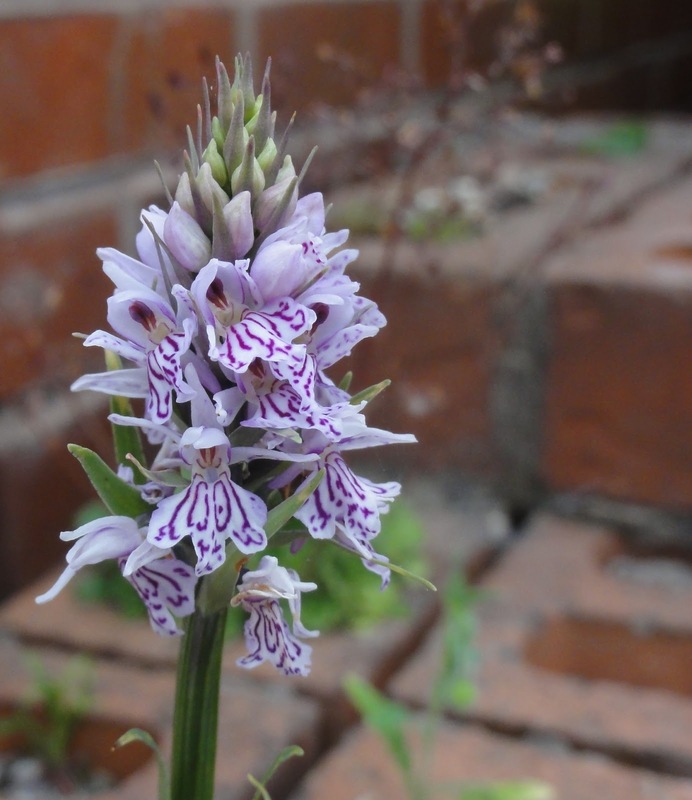 To the left is a small image of the original planting, including: Sisyrinchium biscutella, Sisyrinchium graminoides (also know as bermudiana) Saxifraga x urbium primuloides (dwarf London Pride), Dactylorhiza fuchsii (Common spotted orchid), and Sedum Bertram Anderson. Well, it all has gone rather well actually. These were all flowering in June this year, and it rather encouraged me to keep going with the experiment. So voilà, another 15 or so alpines have been added. Thymus serpyllum coccineus group (bottom left, the larger plant that is starting to trail down the wall), and Potentilla crantzii (top right). I read somewhere recently that when Beth Chatto created her Gravel Garden, apart from watering the plants at the time of planting, they were not subsequently watered except by rain, left to survive or not on their own. An attractive proposition, less watering by hand is always good. However, the alpines in my wall aren't in soil, they are in 3cm holes with the barest of compost added. So I'll give them a break and let them settle in before I stop hand watering. I make no claims for my Alpine Wall to be a thing of great beauty. 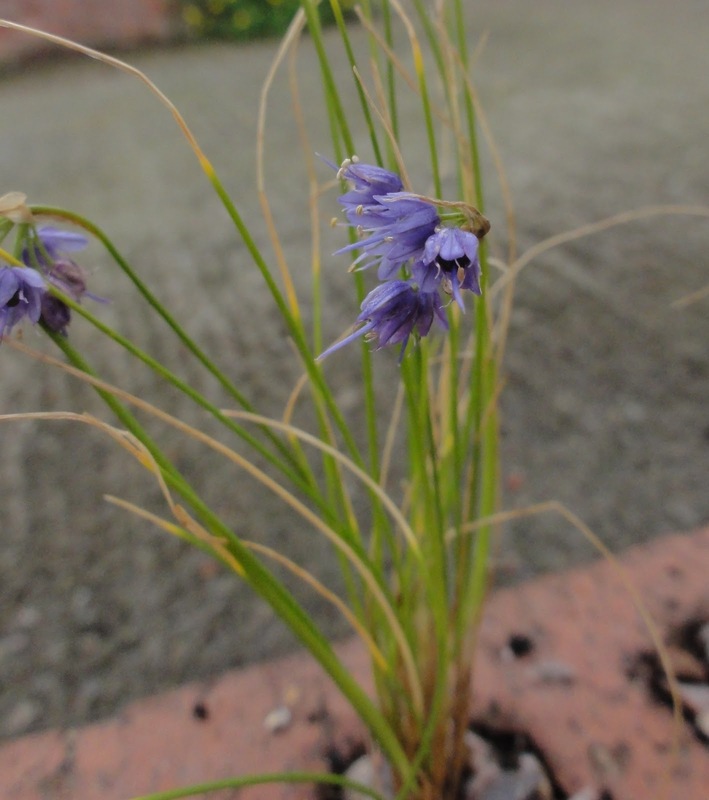 But I do think that beauty exists within it, and I feel, particularly as the plants settle in, grow and self-seed (the Sisyrinchium's have already started self seeding), that it might just become an attractive feature. 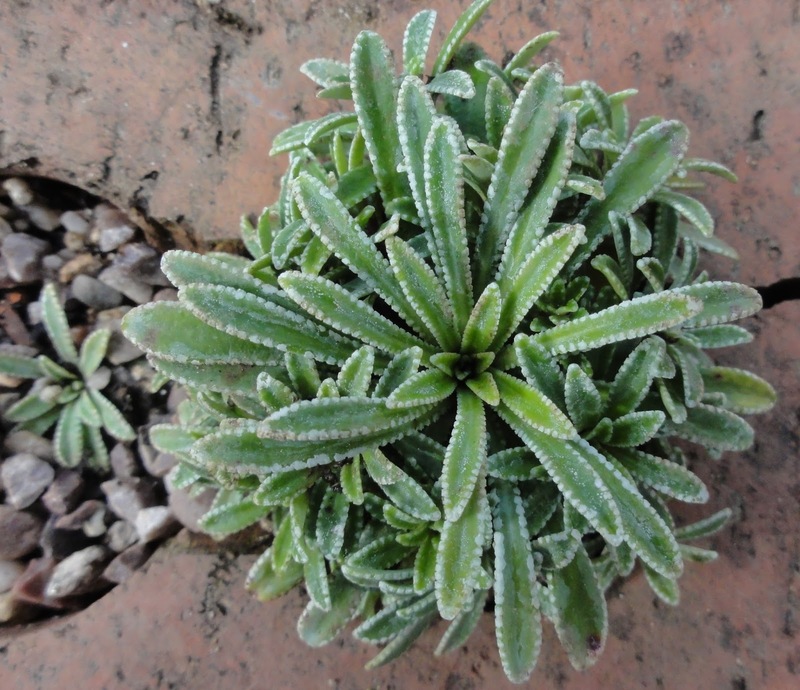 Most importantly, I am gaining great joy in finally being able to grow alpines and to be able to savour their tiny delights in my own garden. The experiment continues, I think with some confidence. I love what you have done here. 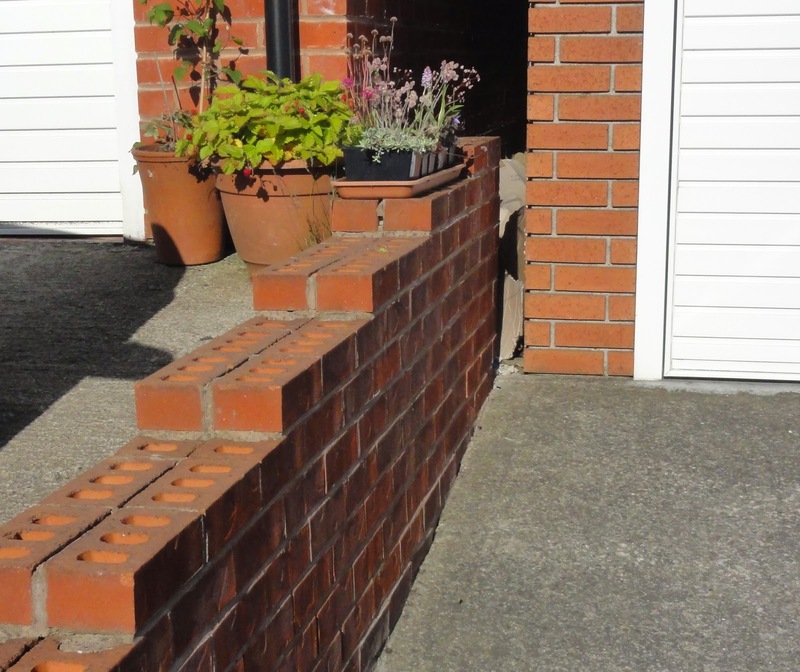 You have softened a harsh bit of wall and given it interest with lots of different shapes and forms and colours. I hope that it continues to thrive. 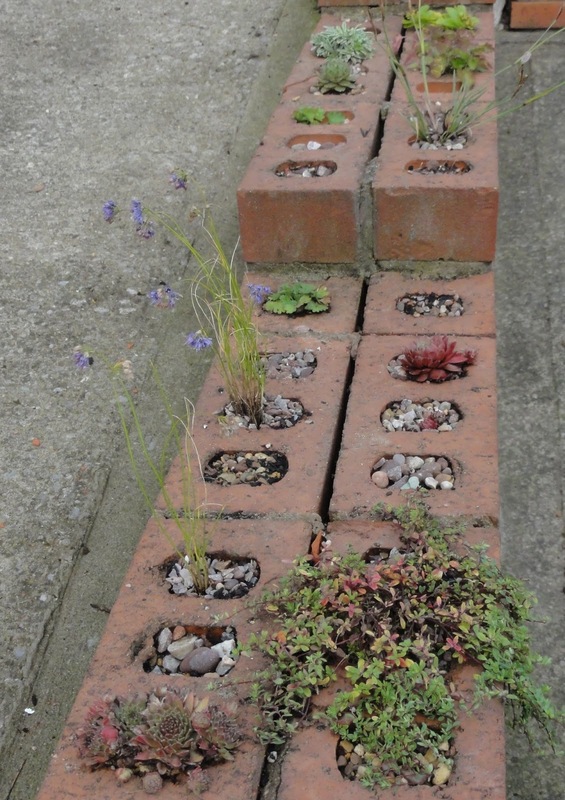 This is a great idea :) I saw a wall planted with alpines on holiday earlier this year and I'm now regretting not specifying a few planting pockets when we had the terrace walls built in the garden. 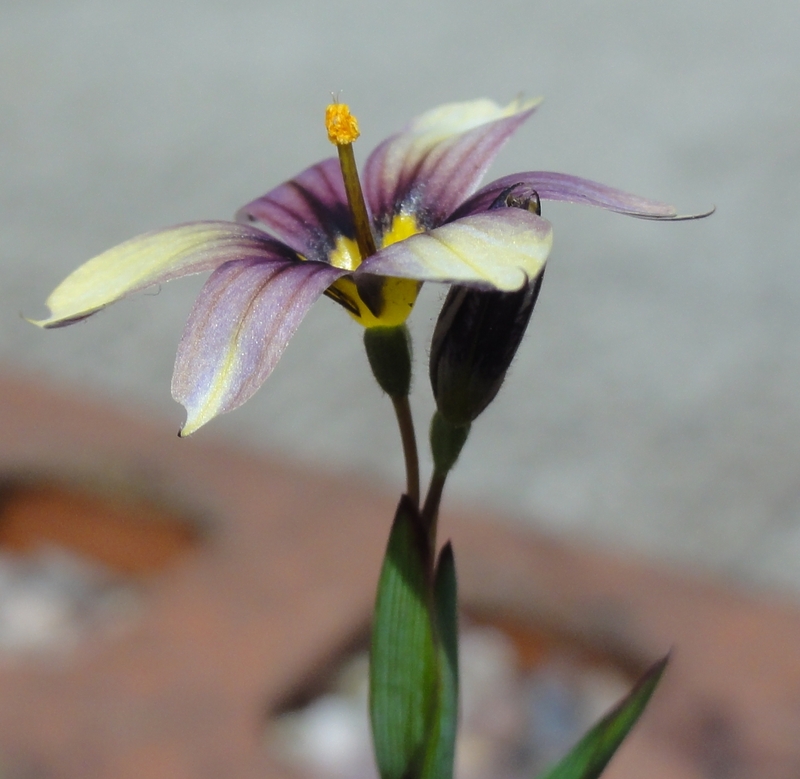 I've made do with a couple of alpine trays and I know that Sisyrinchium does indeed self seed itself rather well. 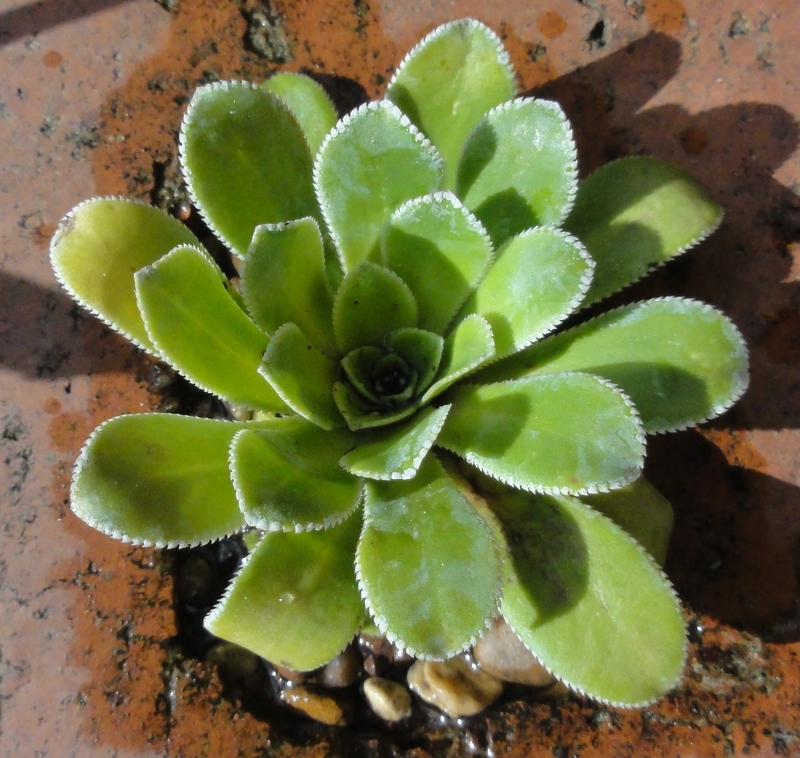 Lewisia is supposed to grow really well in these kind of conditions, have you included some in your wall? That's a result! It looks really good and will get even better as it fills out. I bet the neighbours are happy too. 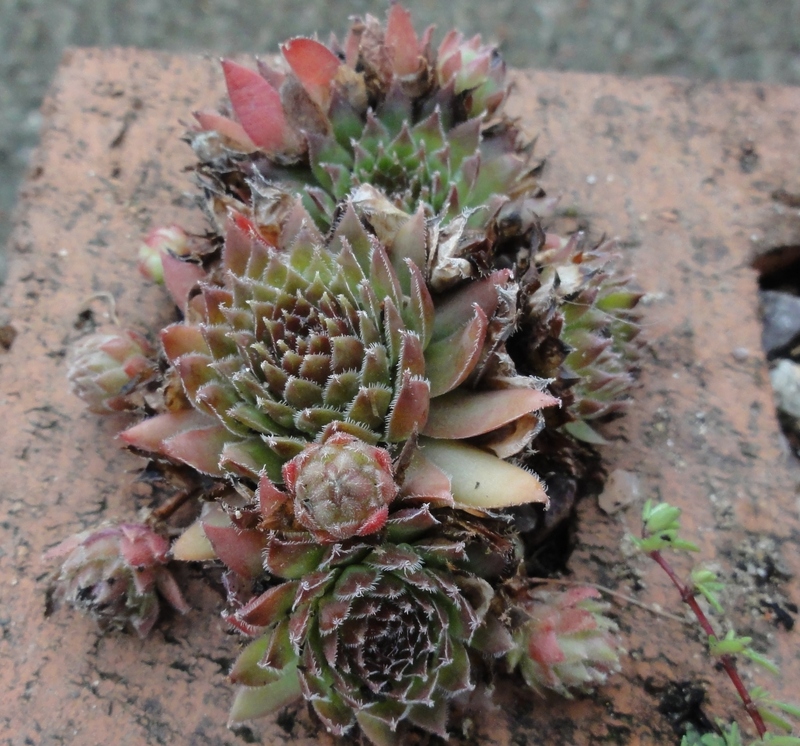 I've started putting alpines vertically into cracks in a wall and I'm unsure just how much to water them because they tend to miss rain as well. This summer I've been spraying them with water from a spray bottle and just hope they settle in through autumn. Thanks Coiley, Michelle & Jessica for your positive comments. Nice to know I'm not crazy thinking this seemed like a good idea. Coiley: it's nice to have different shapes and forms, and I'm also trying to add plants for different seasons to extend it's interest. VP: I haven't included Lewisia, but only because I didn't know it. Just looked it up and it looks most suitable for my wall, so will be getting some - thanks for the tip. Rusty Duck: my neighbour has been happy; we can see into part of each others gardens, so she is in general pleased to have a gardener move in next door. I think it makes sense to water in the new plants, whether in 3cm holes like me or cracks like you have. They need a bit of a helping hand to get going. For me, the idea is that once they have settled in and had a chance to adapt to the conditions, then I leave them to sink or swim. Makes sense to help yours through autumn too. That is such a good idea and your plants all look very happy in their new home. A warning about Campanula porsharskyana, I now have it everywhere in the garden despite pulling out the flowers before they seed! 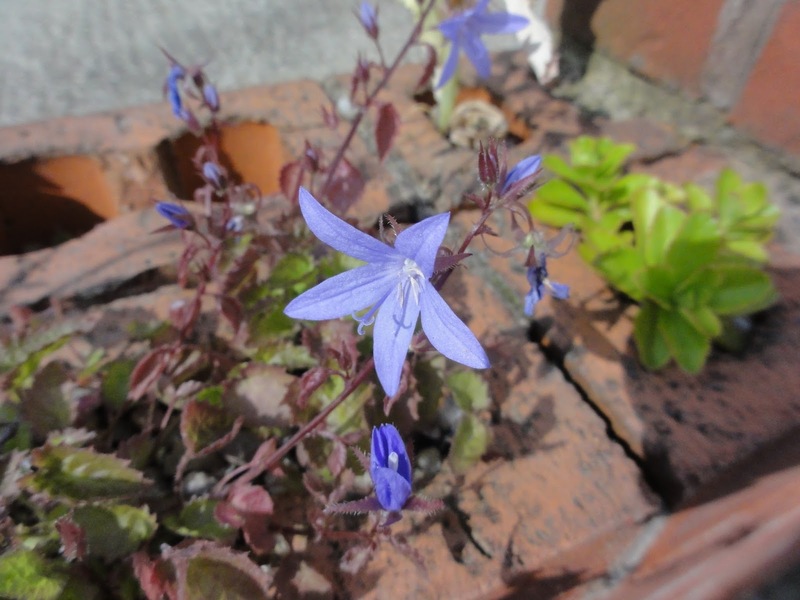 Thanks for that info about Campanula porsharskyana self-seeding everywhere. I noticed that it has in other parts of the wall, which I'm pleased about. Not so worried about it going elsewhere, but maybe that is famous last words!